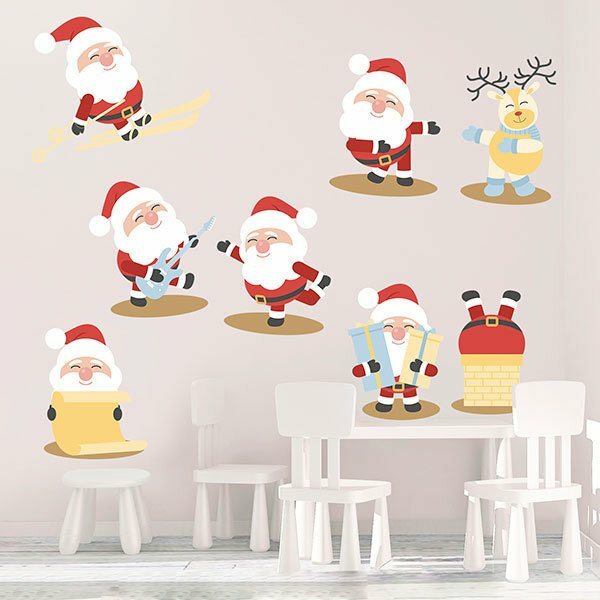 Kids wall sticker Santa Claus Kit. A caricatured Santa Claus forms this kit in which you can see him dancing with his reindeer, skiing, playing the guitar, reading a letter, distributing gifts and entering through a fireplace. 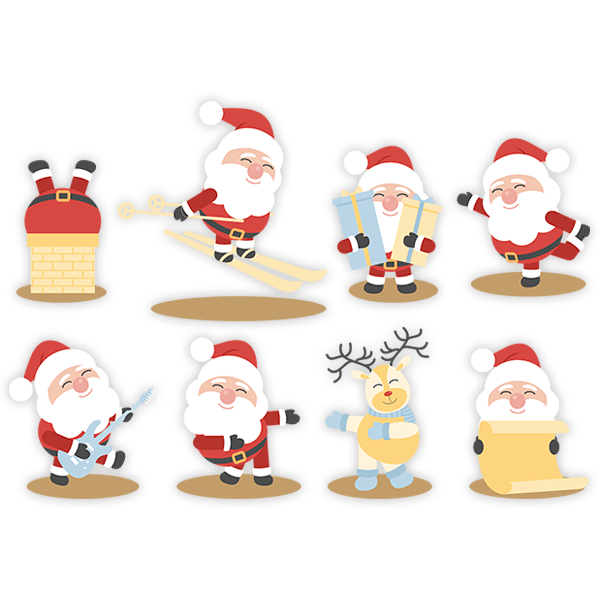 Separate them individually and create a composition as you like. Size: 48 x 39 cm. 17.32 x 11.81 in. 22.83 x 15.75 in. 28.74 x 19.69 in. 34.25 x 23.62 in. 40.16 x 27.56 in. 46.06 x 31.50 in. 51.57 x 35.43 in. 57.48 x 39.37 in. 63.39 x 43.31 in. 68.90 x 47.24 in. 74.80 x 51.18 in.